For a dependable, long-life blade, look no further than Andis Ultraedge blades. Our exclusive hardening process keeps blades sharper for a longer time. Add a special chrome finish that inhibits corrosion and you have cutting solutions that will last for years. Andis' universal attachment combs will fit this blade set. 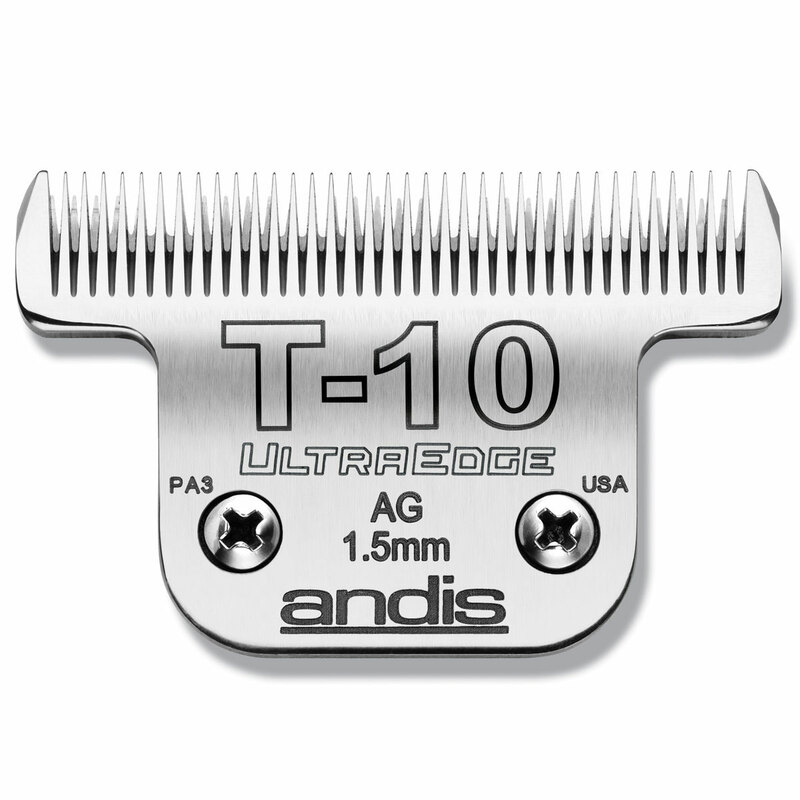 Andis T-10 UltraEdge Blade is rated 4.7 out of 5 by 3. Rated 5 out of 5 by Michele from Best clipper blades for body clipping! These clip a bit closer then the T-84s, and like those, they cover a lot of the body much quicker then regular blades. Maybe not as fast as the huge Clip Master clippers and blades, but those are so much harder on both the clipper and the horse. I switched to the T blades several years ago, and will never go back. My horses find clipping much more comfortable, and so do I. Rated 5 out of 5 by KatieS from Better than the T-84 Love this blade. For some reason I've found that its sharpness has held up better than any of the T-84's ever have. I was lucky if I would get two full body clips out of a T-84 before the blade started catching on the parts with denser hair (rump, legs). With the T-10 I've now done 3 full clips and it shows no signs of dulling; it just helps my clippers power through the tough spots. Prior to getting this blade I was feeling that maybe my AGC's needed to be retired, but changing the blade up has made a world of difference. Rated 4 out of 5 by RWS1 from Good product Use the T84 blade for lighter clip in Spring and the T10 for Summer clip. Sturdy blade, holds up well.